Tuition Information: Undergraduate residents $3,225, nonresidents $15,046 for the 2011 – 2012 school year. Tuition does not include fees of $2,446 per year. Digital Arts students at the University of North Carolina at Wilmington begin their studies with coursework in discrete mathematical structures, digital logic, assembly language, data structures, programming languages, software engineering, computer networks, database design and analysis, calculus, statistics and professional and ethical issues in computer science. They continue with coursework in 2D design, graphic design, computer animation, 3D computer graphics, visual design for multimedia and digital video production. All students must apply for admission to the Computer Science major. Computer science, need-based and merit scholarships are available. 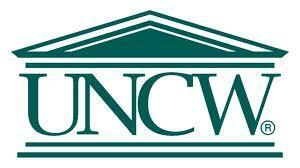 North Carolina residents are encouraged to apply for state-funded grants and scholarships.